Last Chance! 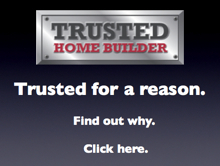 Limited Homes Remain!" Great River at Tribble Mill is a vibrant resort-style community in Gwinnett County, conveniently close to the intersection of I-29 and GA-20. The community features a spectacular swim and tennis facility with a private clubhouse, six lighted tennis courts, and a playground. Residents enjoy close proximity to the town square at Lawrenceville, GA and the charming town of Grayson, GA, where there are many unique shopping and dining venues. Just minutes from the community are Tribble Mill and Harbins Parks, which offer field sports, exercise paths, canoeing, horseback riding and various playgrounds. Convenient highway access makes it easy to get to Atlanta or Lake Lanier for even more recreation and nightlife opportunities. Both destinations can be reached in less than an hour from the Great River at Tribble Mill community. Students living in Great River at Tribble Mill attend the highly regarded Gwinnett County Public Schools, including Archer High School, McConnell Middle School, and Lovin Elementary School. SR Homes� available homes in the community feature open floor plans with lots of natural light, gourmet kitchens, and luxurious owners� retreats with spacious walk-in closets. Each home comes pre-wired for ceiling fans, security systems, surround sound, and audio/visual connections. 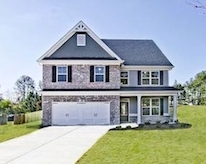 SR Homes is the preferred builder in Great River at Tribble Mill, an exclusive Lawrenceville GA new home community. 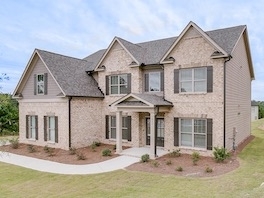 For more information on these new homes in Great River at Tribble Mill, call SR Homes at 678-252-2558.